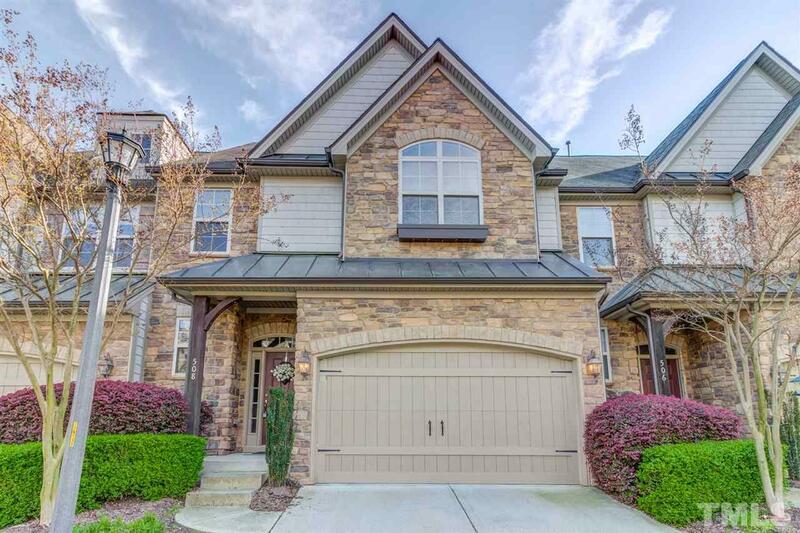 Fantastic townhouse in Green Hope & Davis Drive school district. Master with Trey & walk in closet. Master bath with coffee bar & extended tile shower. Hardwood flooring on the first floor. Separate dining room & eat-in kitchen with pantry. Open kitchen has granite, tile backsplash, Ventilation hood, gas cook top & SS appliances. Screen porch. Two car garage. Short distance to greenway, Harris Teeter, H-mart, banks & restaurants. Close to Hwys 55, 64, 540, RDU, RTP & ATT. Move-in-ready. A must see home!